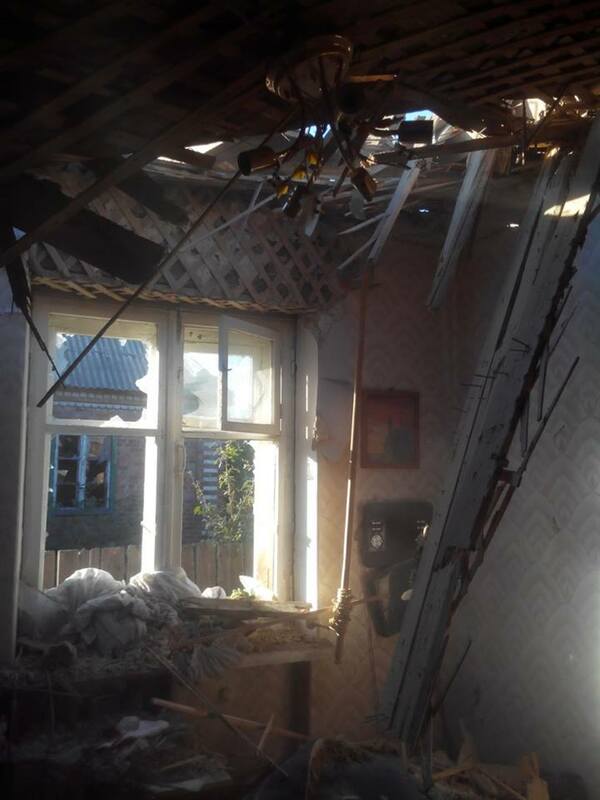 2 civilians killed and 3 wounded after terrorists of Donetsk People’s Republic shelled Ukrainian city. 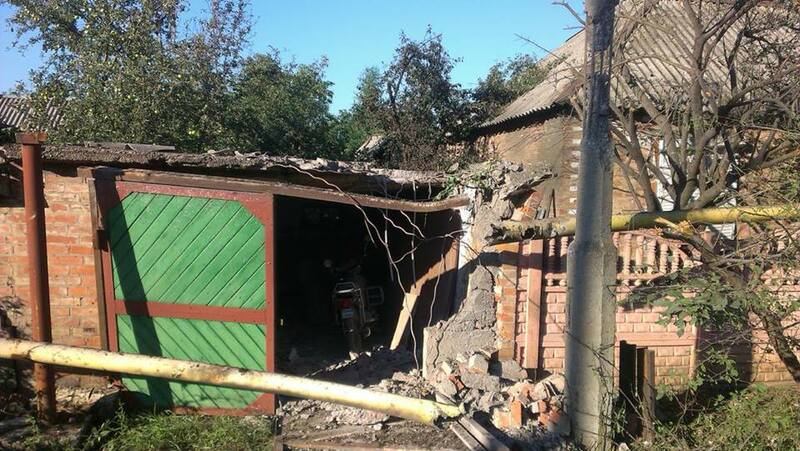 Terrorists of so-called Donetsk People’s Republic and Lugansk People’s Republic continue to destroy infrastructure of Ukrainian cities and villages. 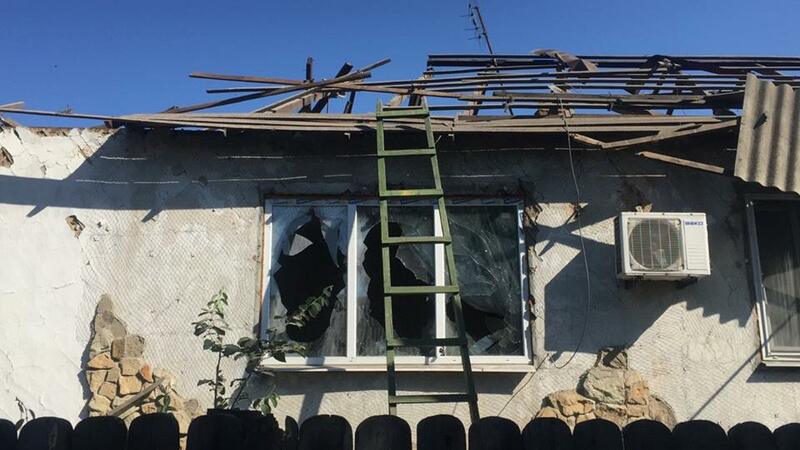 On July 30 starting from 2:40 am till 6:08 am terrorists shelled residential areas of Dzerzhynsk from their positions in Horlivka using 122 mm artillery systems. 2 civilian people were killed and 3 wounded. 34 craters observed. Observers of Joint Centre for Control and Coordination (JCCC) registered direct hits on Belinskgogo St. buildings 9-11, Kuchubeya St. buildings 1-10, Skachkova St. near the market (see photos). As a result of the shelling 2 civilian people got killed and 3 wounded. 3 houses were totally destroyed, 2 more houses and 8 household structures were seriously damaged. In total 34 craters caused by explosions were registered. 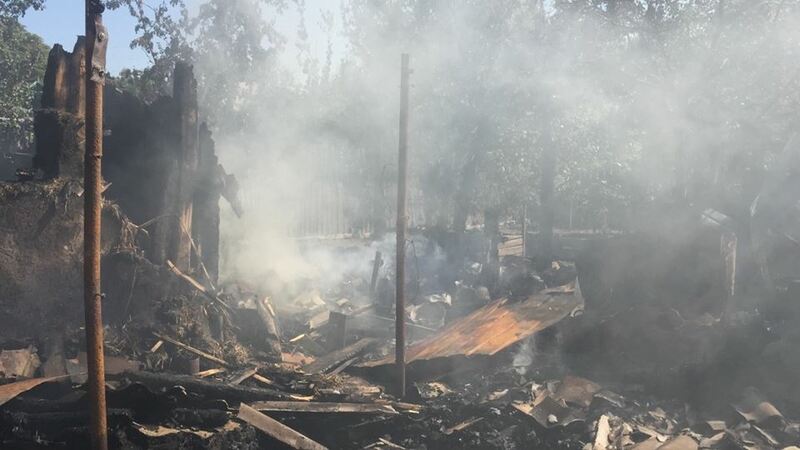 According to data provided by JCCC observers terrorists continue to use “scorched earth” tactics, they deliberately destroy residential areas of cities and villages, and they try to create humanitarian crisis. Self-proclaimed governments of some areas of Donetsk Region and some areas of Lugansk Region block humanitarian projects which are implemented by Ukrainian side together with OSCE. Terrorists deliberately block the projects that are designed to restore railway infrastructure and water supply in the areas close to the contact line. Terrorists also continue to shell residential areas with artillery. In the evening of July 30 observers of JCCC registered about 77 shelling, mostly from 122 mm artillery systems from different areas of Donetsk city. Special Monitoring Mission of OSCE got information about all those facts of Minsk Agreements violations, so they can verify that and react. In the photos you can see briefing of JCCC for SMM of OSCE and results of shelling at residential areas of Dzerzhynsk city. 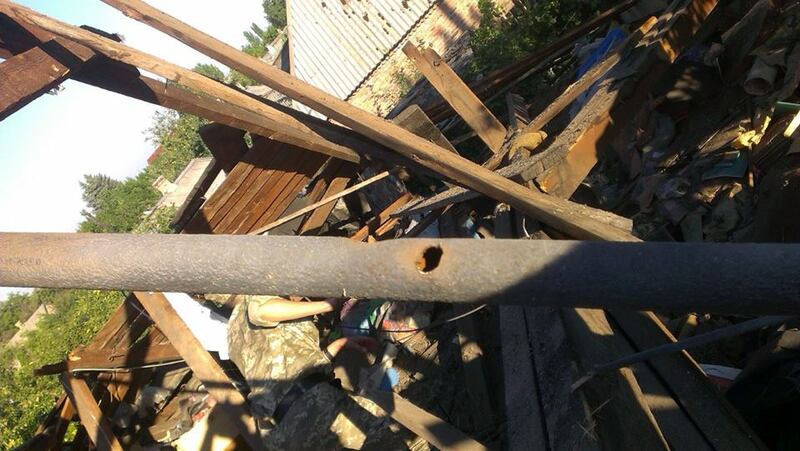 Ukrainian village located 10 km from contact line shelled by pro-Russian terrorists. Pro-Russian terrorists of so-called Lugansk People’s Republic shelled Toshkivka village in Ukraine controlled part of Lugansk Region. 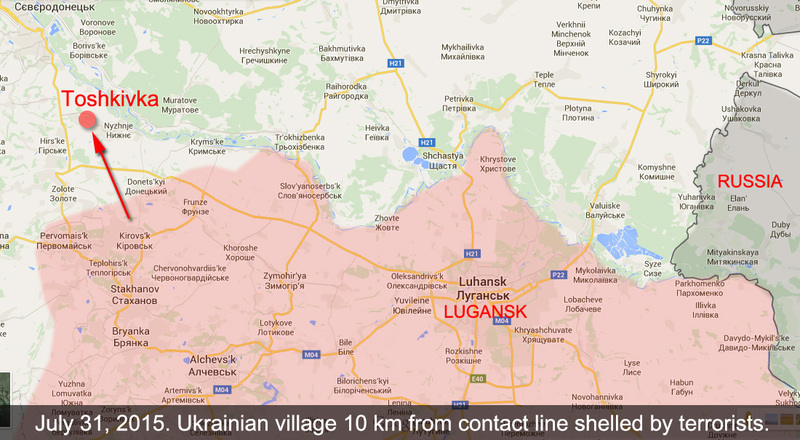 The village is 10 km away from the contact line and there were no shelling in the past 3 months. It was attacked at night at 2:30 am. 23 y.o. man got wounded by shrapnel, he’s father says that coffee table saved his life as it stopped most of the debris. Parents were sleeping in another room with 16 y.o. brother of the young man. In the building nearby the ceiling fall down and 80 y.o. woman got wounded. 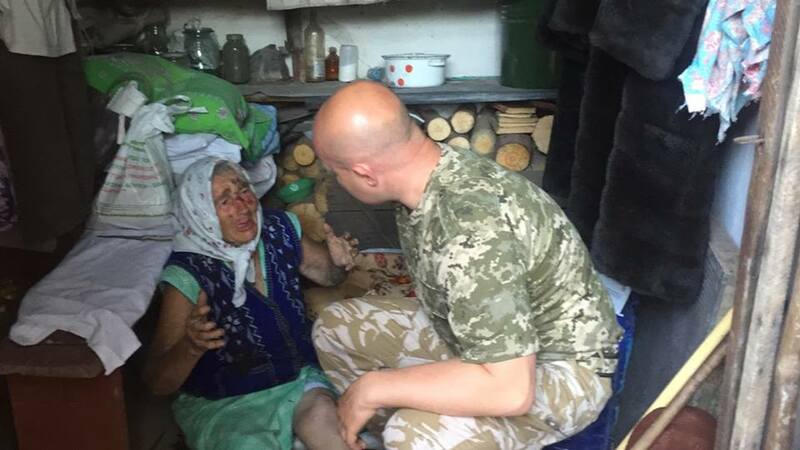 The Deputy Head of Lugansk Regional Military-Civil Administration Mykhaylo Pukhtayevych who arrived to the village took the old lady to the hospital. 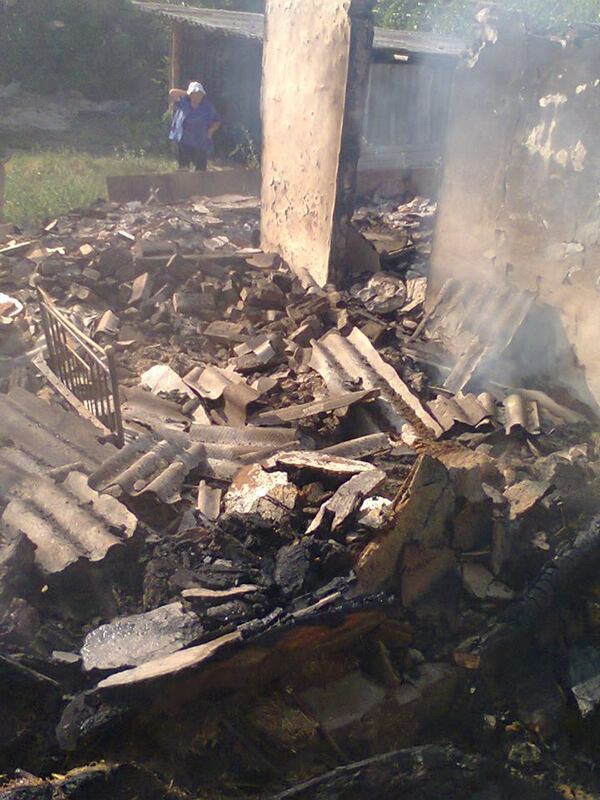 6 other houses were damaged, 3 of them were totally destroyed. Some power and gas lines got damaged on several streets. The repair team is working to fix that. The last shelling of this village was 3 months ago. Everything was quiet here for a long time. After getting back to Regional Administration office we will decided how to provide compensation to people shortly. Captured Russian officer Starkov explained how and how many Russian soldiers get recruited to fight in Ukraine. Full transcript of the video. Security Service of Ukraine posted a video of interrogation of the Russian officer Starkov who was captured by the Border Guard Service of Ukraine on July 25 at Ukrainian checkpoint. 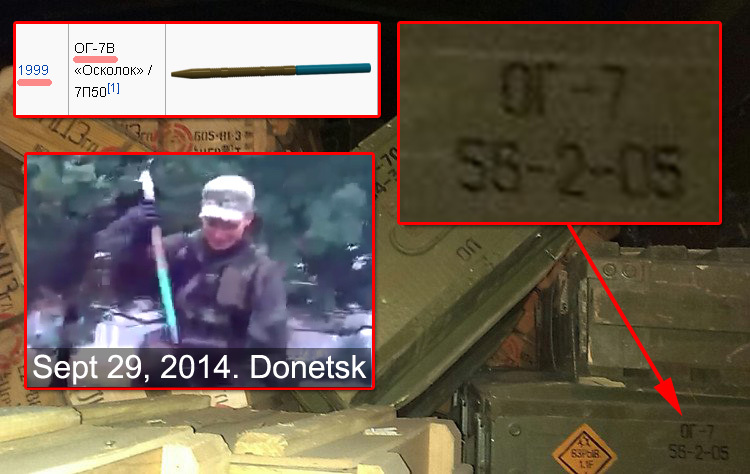 See Russian army officer captured on Ukrainian checkpoint near Donetsk with a truck full of ammo. Starkov explained the process of how he was recruited to continue his service in Donetsk and confirmed that there are about 2,000-3,000 regular Russian army soldiers on the territory of Lugansk and Donetsk Regions who coordinate pro-Russian rebels military forces on all levels. As soon as Russian officers arrive to separatists controlled territory they get docs on fake names and don’t have anything with them that can identify them as Russian army soldiers. After he was captured his family in Russia disappeared and phones got blocked. Below you can see the video of his interrogation and the transcript in English. Ukrainian officer: Do you remember any of your passport data? Russian Maj. Starkov: Yes, sure, I remember. Russian Maj. Starkov: Passport series 2203 and number 080912, issued on December 9 2002, by the Ministry of Internal Affairs of Bor city in Nizhny Novgorod Oblast. 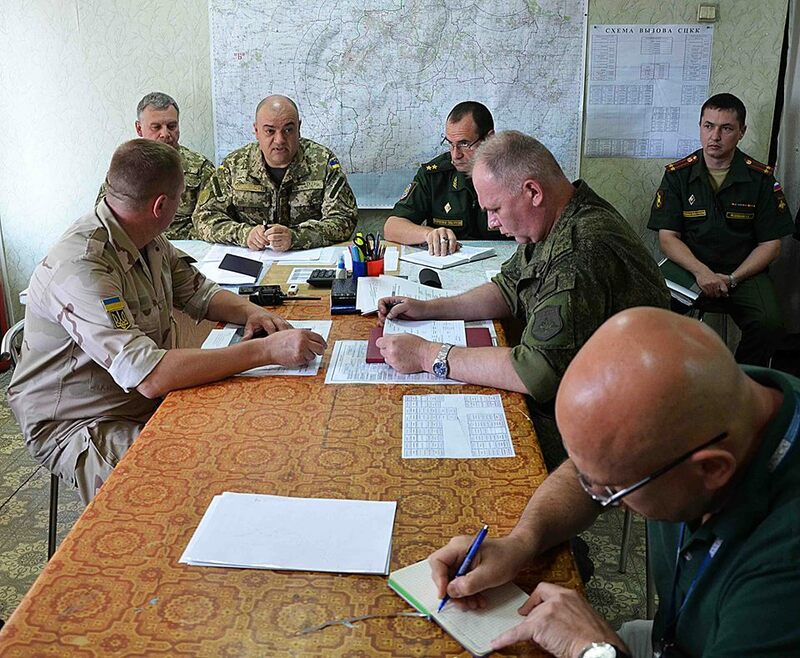 Russian Maj. Starkov: Every commander in a brigade has… there is local head and he has Russian adviser. Ukrainian officer: Who makes decisions and who gives orders? Russian Maj. Starkov: In general, locals do. Initially, we didn’t sign any document, we make locals to sign everything, we say you are in charge here, so you sign it, I just advise you how to do it. Ukrainian officer: And only commander of brigade or some higher ranked commander? What kind of units hierarchy. Russian Maj. Starkov: Battalion, Division… there are advisers… there are 3 advisers… So there is Commander of Battalion, Chief of Staff and Deputy Head Commander for weapons. So there are 3 officers in each Division, each Battalion they are present there. Ukrainian officer: Guys who arrive from Russian Federation are they volunteers? You say and we know it is by order. There is an order and you go like on a business trip? Russian Maj. Starkov: They don’t go like on a business trip, they don’t get paid daily for that. You get official position in 12th Command in Novocherkassk city (military unit created in 2014 as part of Southern Military District the Commander of 12th Command is Col. Bakhtiyar Nabiyev since July 25, 2014, see http://mil.ru). You get assigned to certain military unit. And when you arrive there, they tell it to you as a fact, that you are not going to serve in Novocherkassk and that you will continue your service in Lugansk People’s Republic or in Donetsk People’s Republic. Ukrainian officer: So they tell that to you as a fact? Russian Maj. Starkov: Yes, before that they don’t tell us anything, and everything that is related to Ukraine is seriously top secret. Ukrainian officer: And what is the motivation? Money? Or you are able not to obey the order? Russian Maj. Starkov: 1st when they recruit people there everybody have their own circumstances. My situation was like this. For 12 years I have been serving in Taiga where there were only 4 houses, a school and a kindergarten… The closest village was 7 km away, a town was 45 km away, big city was 90 km away. Ukrainian officer: There are only 15-16 buildings in that village where you were? Russian Maj. Starkov: I was applying many times to get transferred. They were telling me stay, how we can do without you, you can’t leave, just stay for another year… And recently I got a phone call and say that they are looking for a candidate on a position of the head of R.A.W. supply service. (R.A.W. is abbreviation of Rocket and Artillery Weapon – in Russian it is “Р.А.В.”). I asked them where? They told me to Novocherkassk city, Southern Military District. I said I agree. Seriously? They say yes sure! I said you were rejecting me so many times and here you are looking for a candidate, sure I will go there. Ukrainian officer: Who called you, your commander? Russian Maj. Starkov: No, that was the Head of HR. So he said, OK, write a report. I wrote the report and sent it by fax… and after to months I got an order that I am assigned to 12th Command in Novocherkassk city. Ukrainian officer: And what it means “12th Command”? Russian Maj. Starkov: This is Reserved Command created in Novocherkassk that control…. Ukrainian officer: That covers Ukraine? Ukrainian officer: How many Commands like that are there around Russia? Russian Maj. Starkov: I don’t know. Ukrainian officer: Did you go alone or with the family? Russian Maj. Starkov: I was going alone. Ukrainian officer: Have you been promised that later you will be able to bring your family there? Russian Maj. Starkov: No, nobody promised that. Ukrainian officer: And when did you arrive to Novocherkassk? Russian Maj. Starkov: March 3. Ukrainian officer: So you arrived there and went to the next destination? Ukrainian officer: What was the rank of the person who was telling you that? Who was commanding you, who was giving you instructions? Ukrainian officer: Do you remember the last name of that Colonel? Ukrainian officer: But they were in the uniform? Russian Maj. Starkov: Yes, in uniform. Ukrainian officer: And what insignia they had? Russian Maj. Starkov: Insignia of the 12th Command. Ukrainian officer: Insignia of what type of troops? Construction battalion, artillery? You said there was a Colonel. What type of troops? Russian Maj. Starkov: He has his rank marked on his shoulder straps… but can’t say exactly now what kind of troops. Ukrainian officer: You are Major Officer. Russian Maj. Starkov: There were crosses on his chevrons of 12th Command. Ukrainian officer: That is some kind of cross? Ukrainian officer: And as for lieutenant Colonels you don’t remember? Russian Maj. Starkov: One was from marine Corps in black uniform. Ukrainian officer: And were there people who refused to go? Russian Maj. Starkov: Yes, there were 3 men who refused. Immediately commander started to bully them saying like ‘you graduated from military school, what for do you wear officers shoulder straps and now you refuse to obey the order… do you refuse to obey the order of the Minister of Defense’. They said ‘no we will not, we will not go’. They were taken away immediately. They didn’t go with us. And I don’t know what happened to them after that. More likely they were simply fired. Ukrainian officer: And who were they? Do you know their names? Ukrainian officer: Do you distinguish somehow citizens of Russian Federation among locals? You see each other anyway? Tell us how you distinguish them. Russian Maj. Starkov: 1st of all mentality, how they communicate. If he is an officer you see he’s an officer, he’s always shaved very clean, the uniform is clean and ironed, his boots are polished. If this was your daily routine for years, that can’t be taken away from you. Ukrainian officer: Did you see a lot of men like that, your colleagues? Ukrainian officer: And what do you think there are many Russians who are serving there? Russian Maj. Starkov: Sure there are a lot of them there. I think if you take all together Donetsk People’s Republic and Lugansk People’s Republic, that would be about 2-3 thousands. Ukrainian officer: What is the structure of command in DPR-LPR? What do you know? You are not a simple officer, you are Major officer. You were communicating with others, going to the trips for ammunition. Russian Maj. Starkov: You can describe the structure like this: the Chief of the Corps is Russian General. Ukrainian officer: The Chief of what? Russian Maj. Starkov: The Chief of the Corps. This is the Army Corps, this is in DPR (Donetsk People’s Republic). Ukrainian officer: What is the last name of the Chief? Russian Maj. Starkov: I don’t know that. Ukrainian officer: So you think that is Russian General? Russian Maj. Starkov: No, we know and everybody that is Russian General. And what his name or callsign is I don’t know. Because we didn’t have access there, we only had access to our service and in order to get there you would need to apply for special pass. Ukrainian officer: And the pass that you had that was only for access to your unit? Russian Maj. Starkov: Yes, only to my unit. And who I was meeting, the highest rank was Deputy Chief for ammunition, that is the Deputy of the Commander. Ukrainian officer: And what was his rank? Russian Maj. Starkov: He is lieutenant Colonel. Russian Maj. Starkov: Yes. Russian lieutenant Colonel. I told you his last name already. Ryshkovich. Ukrainian officer: So there is Chief of the Corps who is Russian General and he has Deputies. Russian Maj. Starkov: He has Deputies, Deputies have different services… and brigade… the services of brigade are under services of the Corps. The system is like that. Ukrainian officer: The commander of your brigade who is he? What do you know about him? Russian Maj. Starkov: Local, Colonel Tikhonov, full name Tikhonov Mikhail Gennadiyevich, callsign ‘Tikhon’. Ukrainian officer: And what is the main task. What your brigade is responsible for? What is its name? Ukrainian officer: What is in there? What kind of weapon, how many men? About 500 right? Russian Maj. Starkov: No, there are 2497 men. And all of them are divided into units. There is management, command, services. Ukrainian officer: What was your position? Ukrainian officer: Of all that brigade? Russian Maj. Starkov: Yes. My task was to keep records of all weapon that brigade had, control how it is given to men, transferred, write-off, control ammunition, keep records of rockets, ATGM, because there were no records before that. Everything was given here and there without control. Ukrainian officer: What was the procedure of changing your name? I see that all your colleagues are not under their real names. Was that an order from the command? Tell us about that. Russian Maj. Starkov: Yes. The procedure of changing name was like that. When we arrived to the brigade, we got accommodated, in the evening we had a meeting where we were given application forms to put full name and callsign. They said we had to fill that with fake names as a cover. Ukrainian officer: For your legend? Russian Maj. Starkov: Yes, because we are not here. And such person doesn’t exist. Because we are advisers we don’t sign documents, so we had to do so. Ukrainian officer: You know about 2 GRU soldiers who were detained before? Russian Maj. Starkov: Yes, I saw them in the news. Russian Maj. Starkov: Yes, they were refused, same with me. Ukrainian officer: What are your feelings about that? Russian Maj. Starkov: How… the country doesn’t need me… I will not be exchanged… 2 days ago my family was taken away and nobody knows where, there is no way to get in touch with them now. Ukrainian officer: How do you know that? Russian Maj. Starkov: We were trying to call them on the phone, all phone numbers are blocked, of all my relatives. I called to a friend of mine. My family was on vacation now. I called to my friend who lived nearby where they were, he went there and there was nobody home. I called him later and asked to go back in the morning. He went there in the morning again and the neighbors told him that they left 2 days ago. And nobody knows where they went, my wife, her mother and my children. Where they went I don’t know and why they left… They had tickets for August 1 or 2 to go back home where they live. Ukrainian officer: If you had a chance to address to your colleagues, friends, your fellow soldiers, address to those who service here and came from Russia, what would you tell them? Russian Maj. Starkov: Well… I said already. It’s not worth coming here. Not worth a tinker’s damn. They lie to us, they make money on us. 12th Command gets ranks and just want to keep their positions, it’s a total fraud. 12th Command comes here just for few days, they get daily payments for that and medals of Kutuzov and Zhukov. And we just stay here as meat. We don’t do anything, everybody put pressure on us here and want something from us. And it’s not clear who we train and what we teach them. If your eyes would open, everything would be completely different. If I knew the situation here before, I would never come here. Search for any way in order not to get here. 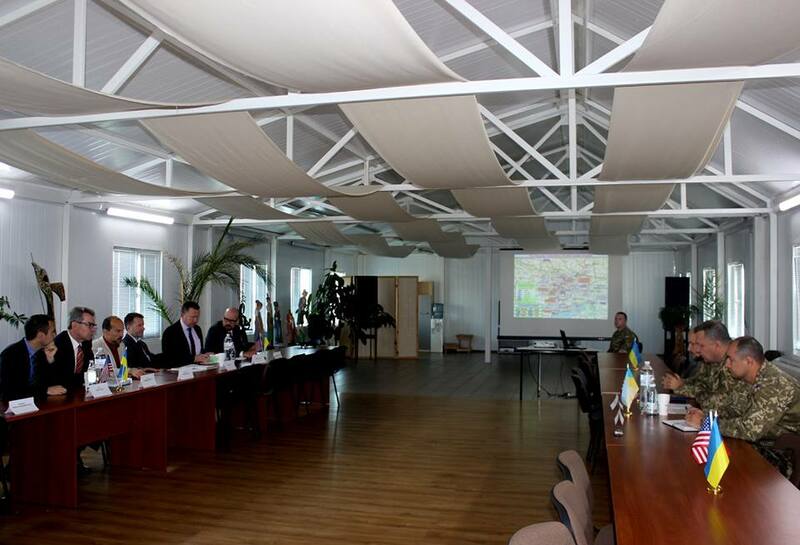 Geoffrey Pyatt met with Deputy Head of ATO in Kramatorsk, Donetsk Region. 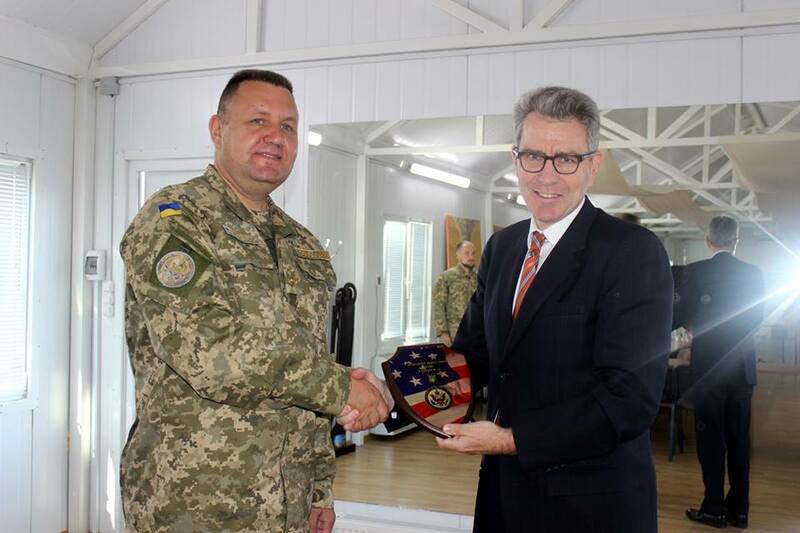 Today on July 30, the Deputy Head of ATO Col. Konstyantyn Sokolov met with the United States Ambassador to Ukraine Geoffrey Pyatt in Kramatorsk, Donetsk Region. During the meeting Col. Konstyantyn Sokolov informed US representative about current situation in the zone of Anti-Terrorist Operation. He said that the situation remains steadily tense. The Deputy Head of ATO Col. Konstyantyn Sokolov and the United States Ambassador to Ukraine Geoffrey Pyatt in Kramatorsk, Donetsk Region. 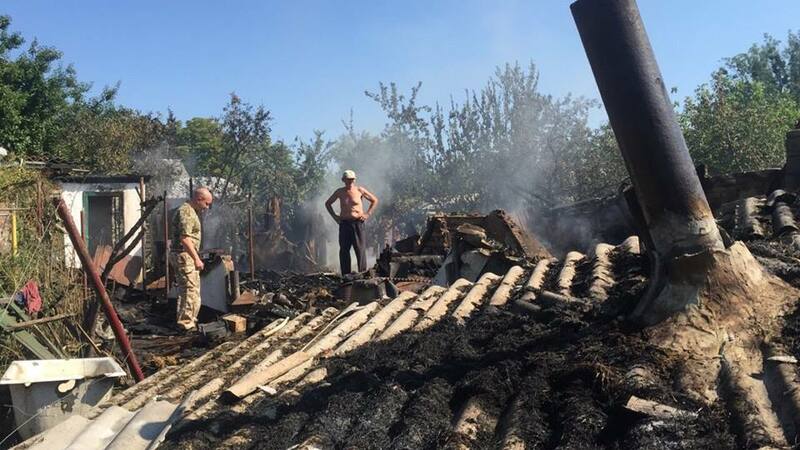 Besides everyday shelling of the positions of Ukrainian Army, illegal armed groups also deliberately destroy civil areas and industrial infrastructure of the region. The enemy continues to use saboteur groups almost in all directions along the contact line, and Russian side provides material and technical supply and ammunition. Col. Konstyantyn Sokolov pointed to the huge amount of misinformation spread around the world by Russian Federation regarding the situation in Ukraine and he emphasized that right now nobody has doubts about the real faces of insurgents who managed to pretend to be “freedom fighters” before. 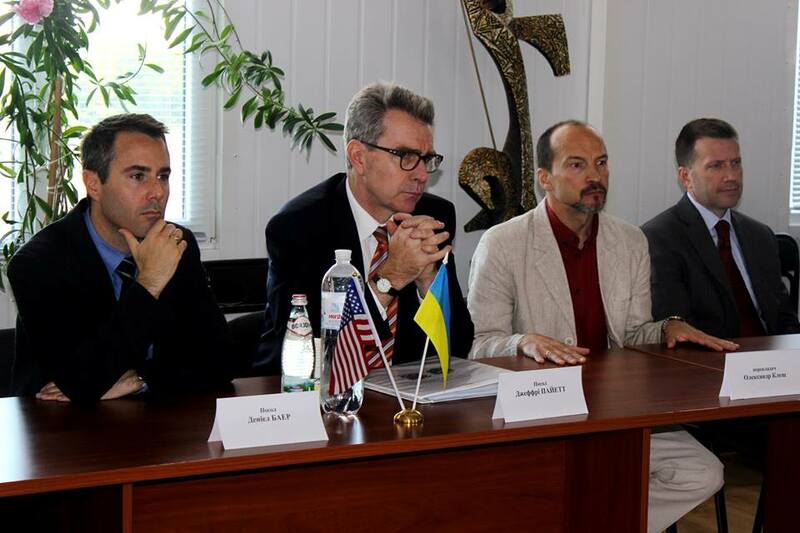 The United States Ambassador to Ukraine Geoffrey Pyatt in Kramatorsk, Donetsk Region. Also Col. Konstyantyn Sokolov told about logistic centers that will be created in ATO zone, where Ukrainian goods will be brought to, mobile ATMs will operate there, and people will be able to get advice on various legal issues. At the end of the meeting the Deputy Head of ATO thanked the visitors for their support of the Ukrainian people and the assistance provided for the military. You support is very important for all of us. Taking into consideration challenges and threats we know what to do and how to do it. I am sure we will win and Ukraine will be strong ad independent country. The United States Ambassador to Ukraine Geoffrey Pyatt said that American side appreciates the efforts of Ukrainian servicemen to secure Ukrainian independence and sovereignty. 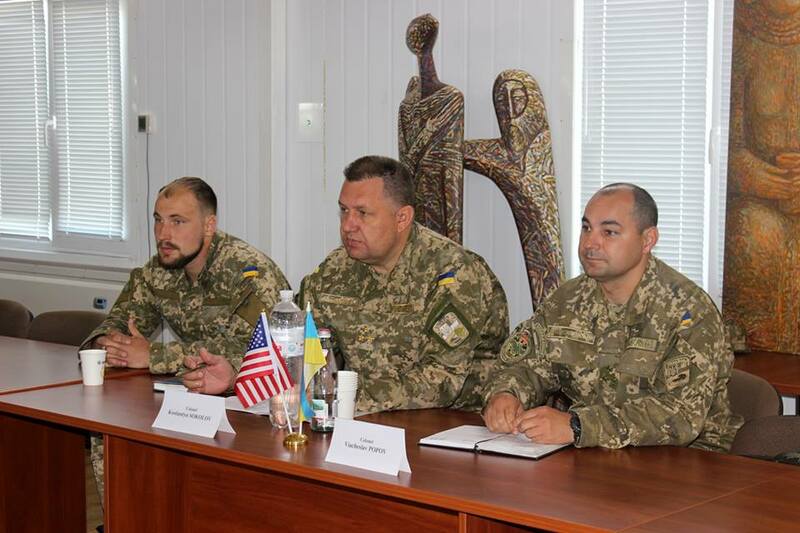 The Unites States have been and remain solidarity with the people of Ukraine. ATO Press Center: 80 attacks on Ukrainian Army positions in Donetsk and Lugansk Regions. In the last 24 hours there were about 80 shelling on positions of Anti-Terrorist Operation forces in Donetsk and Lugansk Regions. Russian mercenaries were trying to storm Ukrainian fortifications twice. This happened near Shchastya city and Avdiivka. 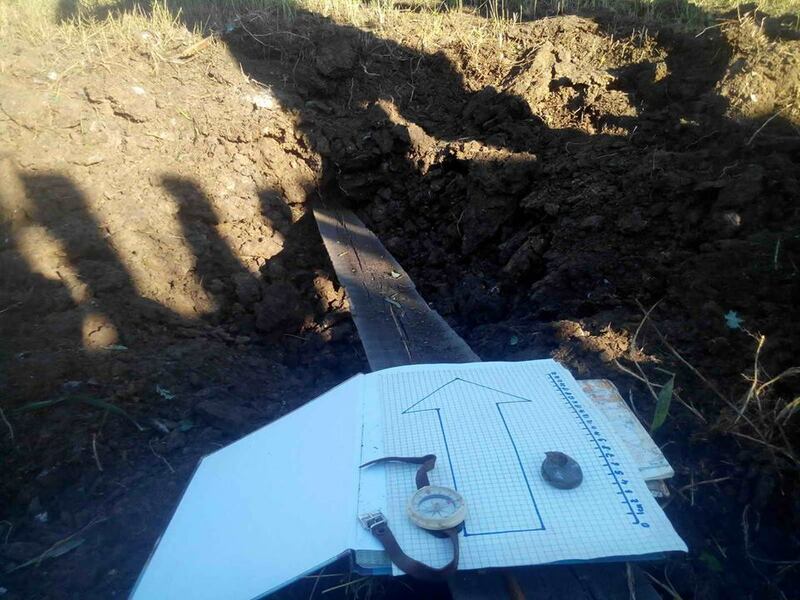 Yesterday starting from 6 pm till midnight terrorists were shelling at Ukrainian positions near Krasnogorivka, Avdiivka, Pershe Travnya, Mayorks, Mykilayvka, Mariinka from artillery systems and mortars. And there was gunfire in other areas. Positions of ATO forces near Shchastya were attacked at about 4:30 pm, terrorists used 120 mm and 82 mm mortars and a tank. The group of pro-Russian terrorists had about 100 men. The fight continued for almost 3 hours. The enemy retreated with casualties. 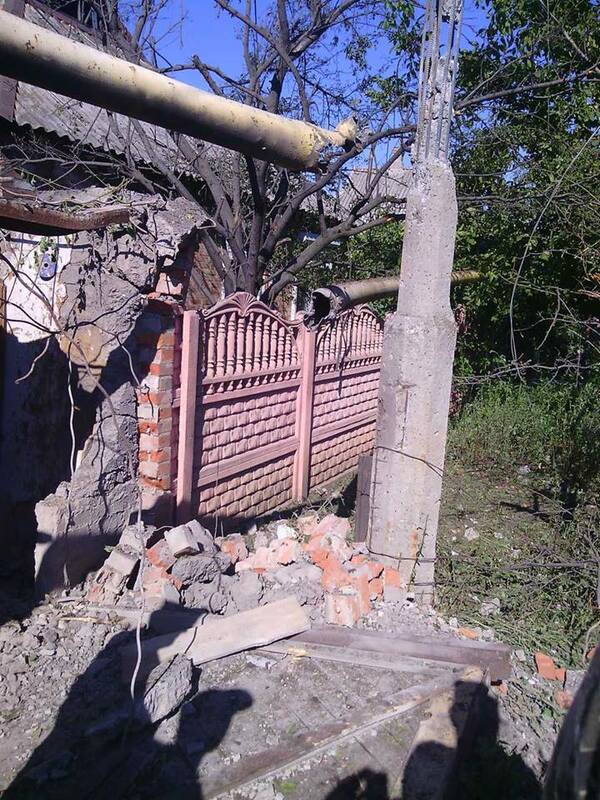 At 20:20 near Avdiivka a group of about 30 terrorists tried to storm Ukrainian fortifications. The attacked was pushed back and terrorists retreated. Ukrainian forced didn’t have any casualties in battles near Shchastya and Avdiivka. Today on July 29 before 6 am there were artillery attacks on ATO forces near Stepne, Novozvanivka, Troitske, Mykolaivka, Popasna. 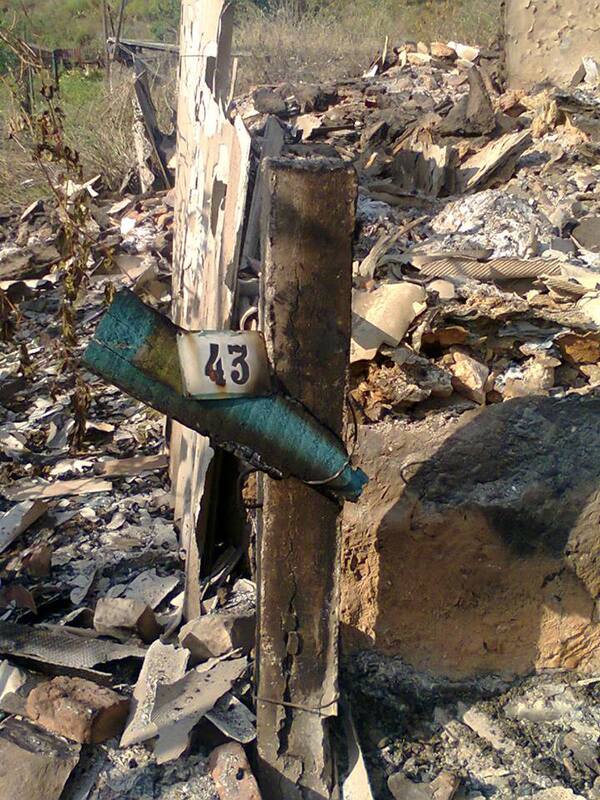 After intensive shelling from terrorists side thousands of Ukrainian people cut off from gas, houses burnt. 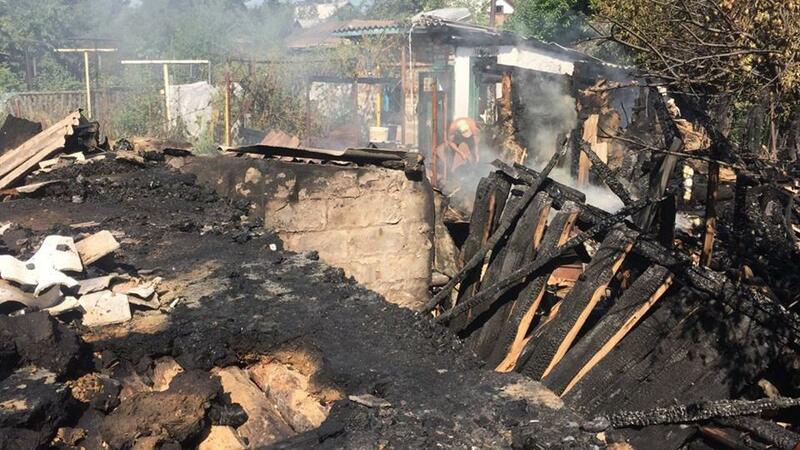 Last night Ukrainian city Stanytsia Luhanska located on government controlled territory of Lugansk Region got under intensive shelling starting from 9 pm till 10 pm. 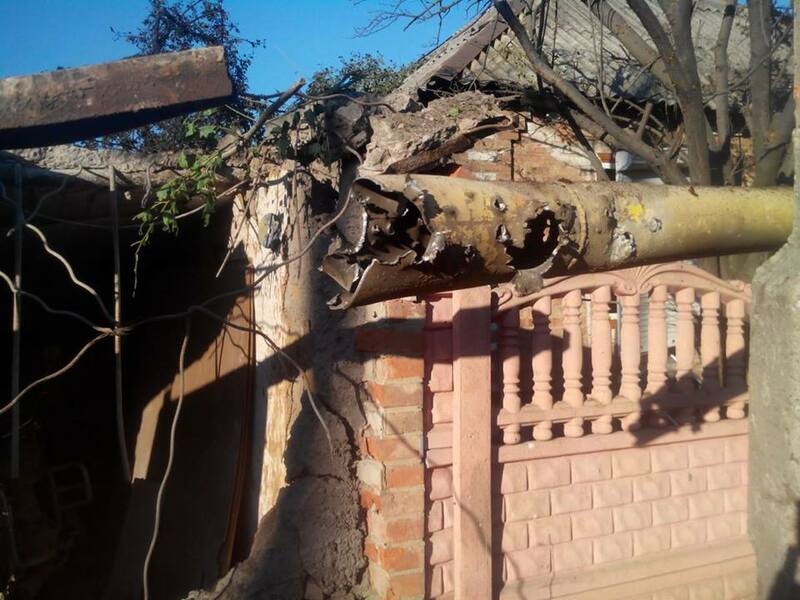 Pro-Russian terrorists of so-called Lugansk People’s Republic used mortars and grenade launchers to fire at residential areas. As a result of the shelling gas pipe on Moskva-Donbas was damaged. 1569 houses got cut of from gas supply. Right now the repair team is trying to fix the pipe. There was no information about wounded yet. Just the previous night on July 27 4 houses were destroyed and it’s not possible to restore them, they burnt to the ground. 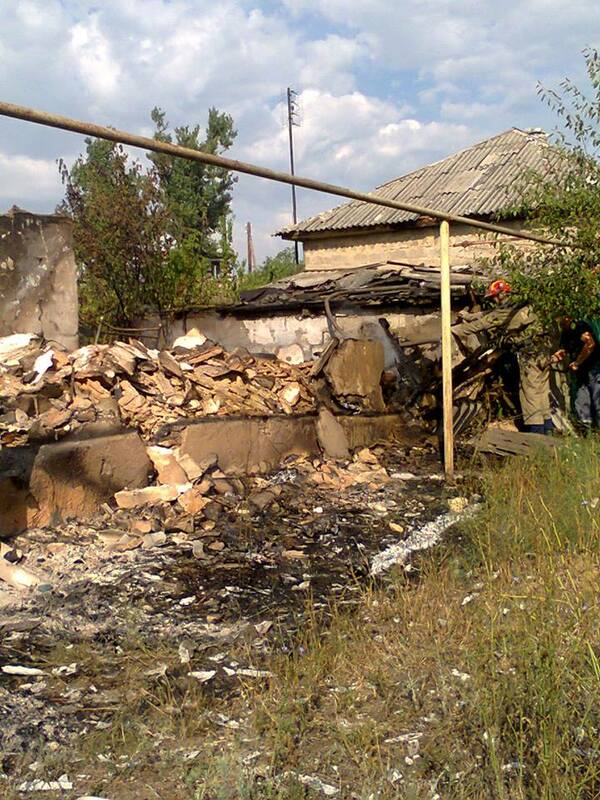 At the same time another house was destroyed in Troitske village after it was shelled from a mortar. Nobody got hurt, two dogs who were securing the house got killed. 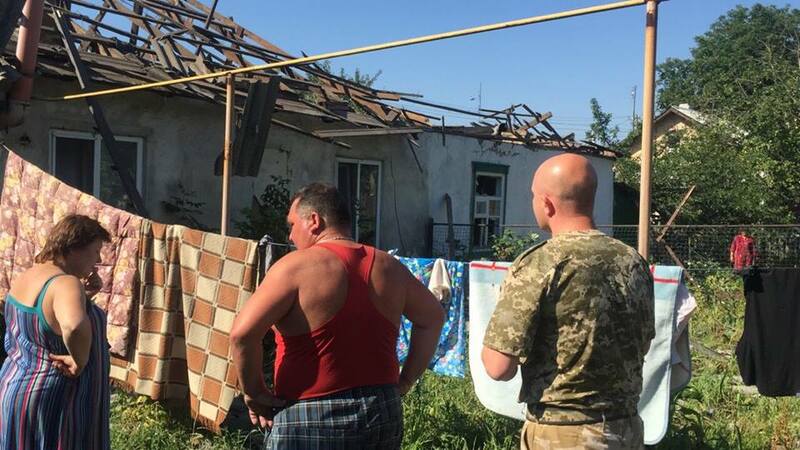 Looking at destroyed houses in Stanytia Luhanska you can understand that terrorists of so-called Lugansk People’s Republic decided burn the town to the ground and they don’t care about people and destruction. I wand those animals to hear me: all what is done by you and by your puppeteers will get back to you in a much bigger scale, don’t even doubt that. 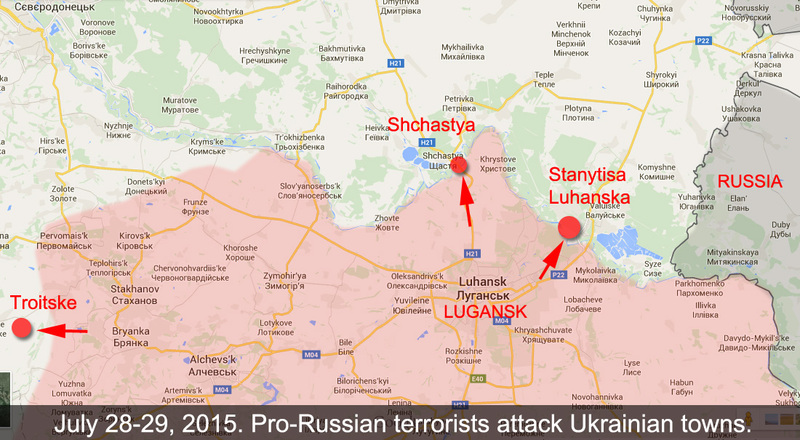 Map of attacks in Lugansk Region in the last 24 hours. Heavy fighting near Lugansk. 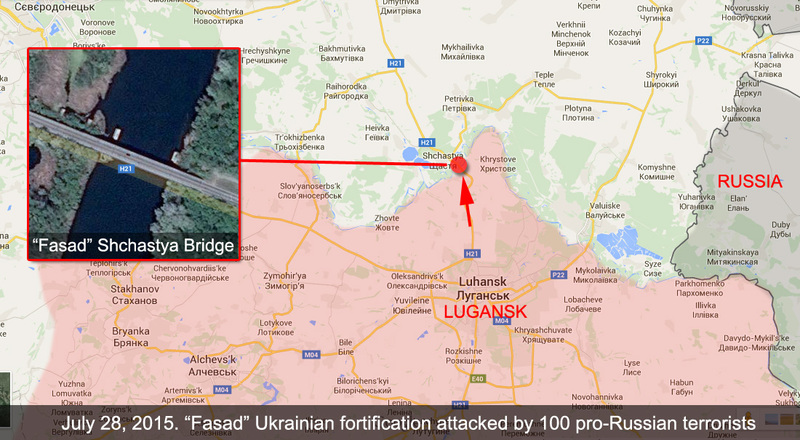 100 pro-Russian terrorists tried to storm Ukrainian fortification at Shchastya. For the last few days pro-Russian terrorists of so-called Lugansk People’s Republic are attacking Ukrainian fortification “Fasad” located on a bridge over Siverskiy Donets river at Shchastya city, 20 km from Lugansk They are using all type of weapon including tanks, mortars, ATGM, automatic grenade launchers and so on. 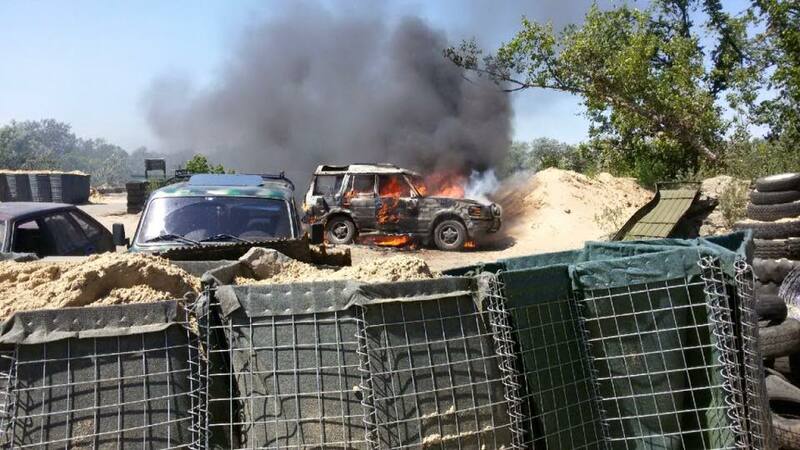 Photo from Ukrainian Army position “Fasad” near Shchastya after attack on July 26. Photo by Dmitriy Bulatov. ATO Press Center reports that during the last attack yesterday on July 28 there were about 100 terrorists in a group that was trying to storm Ukrainian Army position. 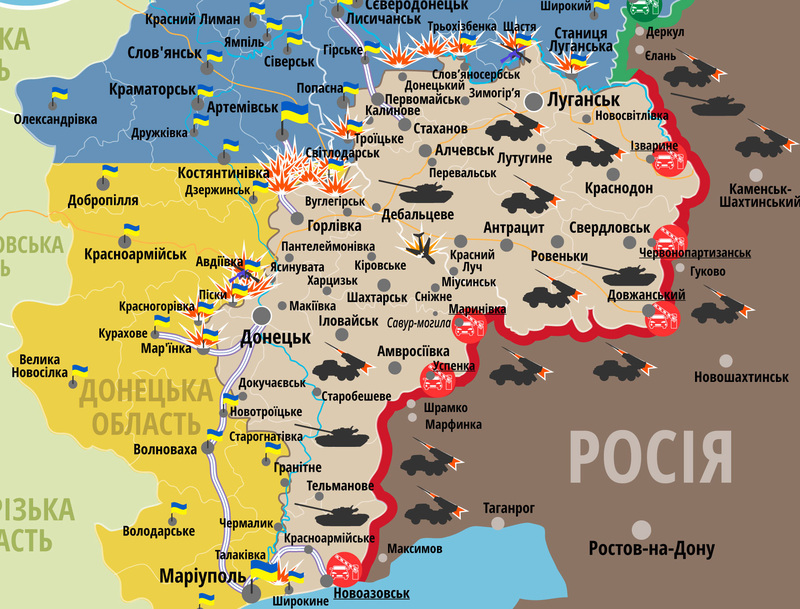 The enemy retreated with casualties, no Ukrainian soldiers were killed or wounded. 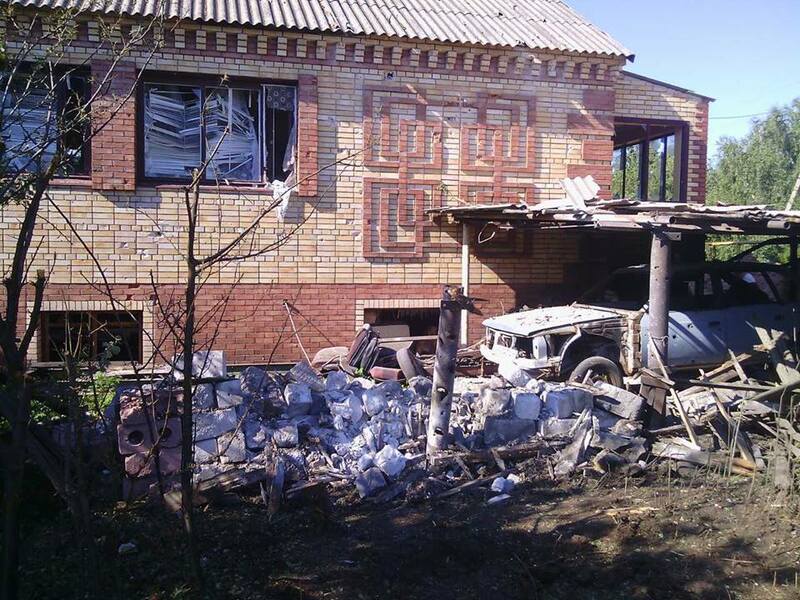 There were 2 attacks on July 28, 2015 on Ukrainian fortification “Fasad” near Shchastya. The 1st attack started at 06:30 am and ended at 08:00 am. Terrorists used automatic grenade launchers, about 60 grenades were fired, and 82 mm mortar firing non-stop for 7 minutes. The 2nd fight started at 4 pm and ended at 7:30 pm. Part of fortifications were destroyed after few direct hits. Soldiers are restoring the damage. One of the vehicles got hit by cumulative projectile from SPG-9, the car was seriously damaged. Couple of other cars were damaged by shrapnel, but not seriously. Everybody are alive and nobody got wounded. The details of the battle were reported by Dmitriy Bulatov. Security Service of Ukraine showed 2 Russian soldiers captured in May. Trial is scheduled for September. Today Security Service of Ukraine showed 2 Russian Special Forces soldiers Aleksandr Aleksandrov and Yevgeniy Yerofeyev who were captured in Ukraine near Shchastya town located about 20 km from Lugansk city on May 16 2015. Detained men still stay in military hospital in Kiev. Both were seriously wounded during their attack on Ukrainian checkpoint and they would die without medical help. They are feeling comfortable now with the conditions where they stay and attitude to them. The adviser of the head of Security Service of Ukraine, Yuriy Tandit, informed that the trial of detained Russian special forces soldiers Aleksandr Aleksandrov and Yevgeniy Yerofeyev will begin already in September this year. Right now it’s planned that the trial will start in September. We say that the trial must take place here. This is very important for us, because those people committed crimes on the territory of Ukraine that we protect and those men are not just Russian Federation citizens who got lost, they are representatives of elite Russian military units. Tandit denied the fake of Russian media that said that those two men were exchanged and asked Russian side to show what the conditions are of Ukrainian hostages who are on the territory of Russian Federation. I want to ask a question to the leaders of Russian Federation: you see the conditions in what your citizens stay here, who are representatives of armed forces of Russian Federation and what are the conditions for our warriors who are on the territory of Russian Federation? We are open and we would like you to show us out boys and tell us when you give them back to us. Security Service of Ukraine also posted a video of the conversation between Yuriy Tandit and Russian soldiers, he visited them in military hospital in Kiev. Also read the transcript of the video of Aleksandr Aleksandrov taken in the hospital of Shchastya just few hour after he was captured: “I am a soldier of Russian Federation”. Full translation of the video of Russian POW published by Ukrainian soldier. And more info on Yerofeyev at Russian GRU soldier Yerofeyev identified on a video taken in Lugansk, Ukraine in January 2015. Russian OG-7V fragmentation grenades identified as part of the ammo captured at Ukrainian checkpoint. Few days ago we already reported about Russian army officer captured on Ukrainian checkpoint near Donetsk with a truck full of ammo. Some of the weapon was identified as OG-7V fragmentation grenades. Those type of grenades for RPG-7 grenade launchers are manufactured in Russia since 1999 and never been exported to Ukraine. 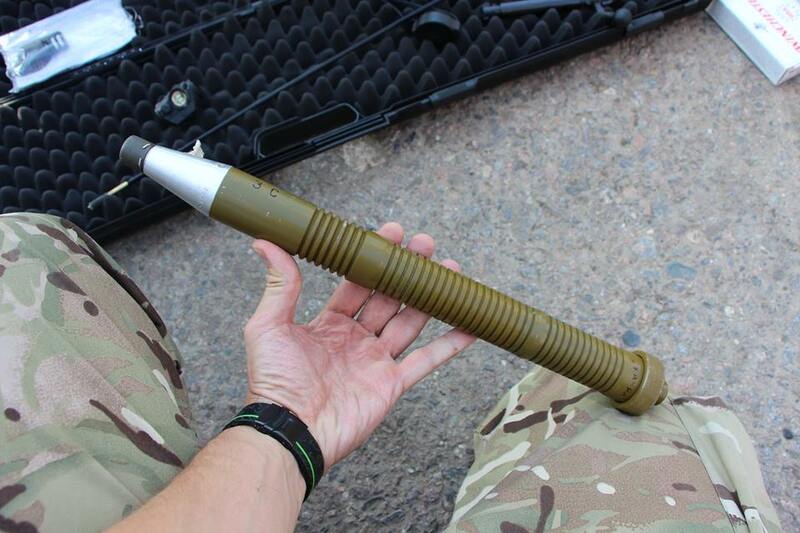 This is another proof that Russian weapon is used in Ukraine. In one of the photos posted by Border Guard Service of Ukraine you can see marking in Russian on the boxes that were inside the truck. Those grenades were supplied to pro-Russian terrorists from Russia since the beginning of the conflict in Ukraine. On the video posted on September 29, 2014, the terrorists are shelling at Ukrainian army positions near Donetsk Airport using same OG-7V fragmentation grenades. See the video below. 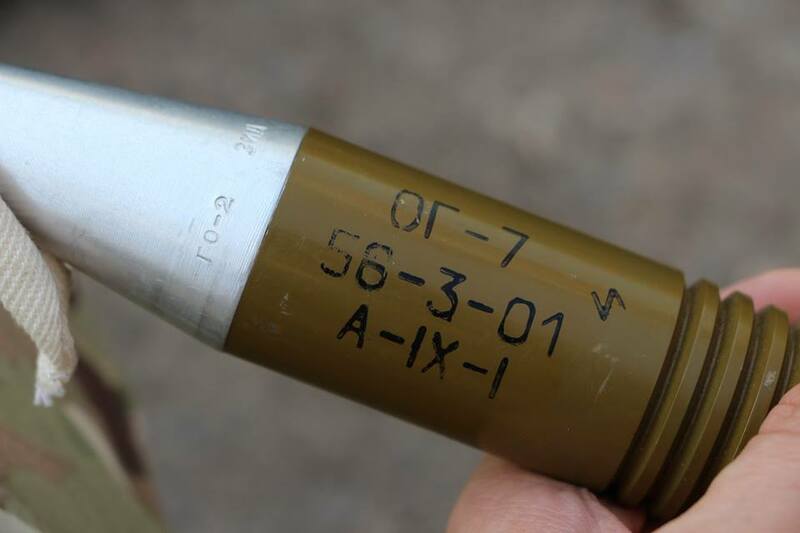 The 1st photos of captured by Ukrainian soldiers Russian OG-7V fragmentation grenades were posted on September 16, 2014. See the images below and the original post here. 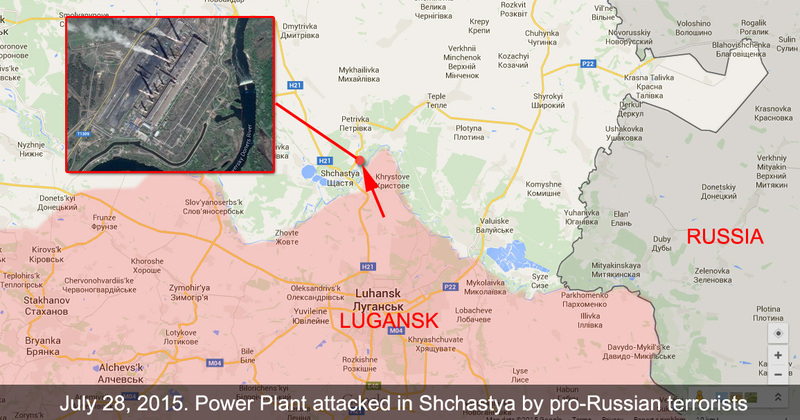 Pro-Russian terrorist shelled power plant near Lugansk. Half of the region has no electricity. Today on July 28 early in the morning pro-Russian terrorists of so-called Lugansk People’s Republic shelled power plant in Shchastya using mortars. As a result power block #13 got switched off, another one is still working. Most part of Lugansk Region lost electric power. Now repair workers are trying to start extra power block. Terrorists continue shell Lugansk Region. After yesterday attack that was pushed back, terrorists decided to revenge and shelled Lugansk power plant located in Shchastya. Repair workers are doing everything they can to restore power supply.